Winter Concert 2019 in NYC, Friday January 25th! Online concert ticket sales were disabled at 10:00 pm Thursday, January 24, 2019. You can still buy a ticket in person at the concert (see below). An inspiring concert performed by a diverse group of artists demonstrating the positive power of music to effect social change. 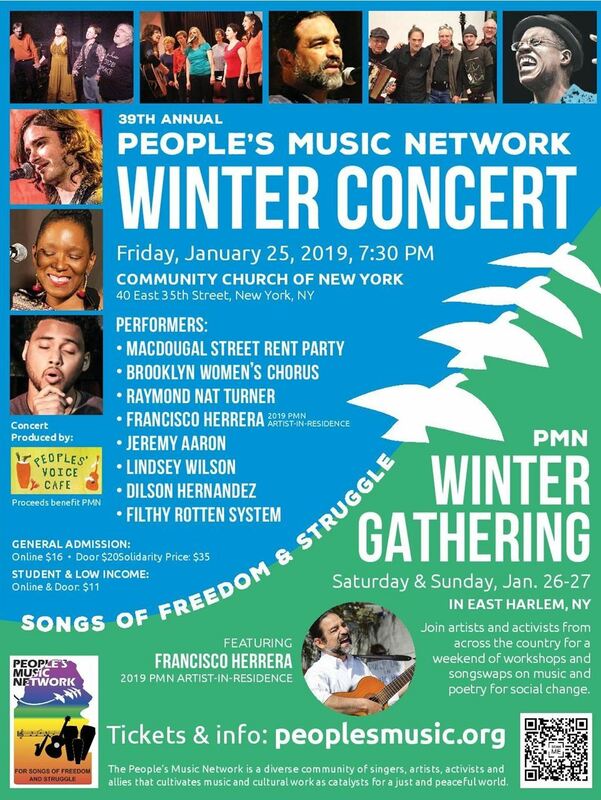 NOTE: One concert ticket is included if you register for the full PMN Winter Gathering. Purchase tickets to this event only if you are not registering for the Winter Gathering, or if you want additional tickets for others. Download this poster as PDF. PMN’S policy is to not turn anyone away for lack of funds. New York City based MacDougal Street Rent Party grew out of the annual Woody Guthrie Birthday Bash at CBGB's Gallery, the acoustic twin of the iconic CBGB rock club. 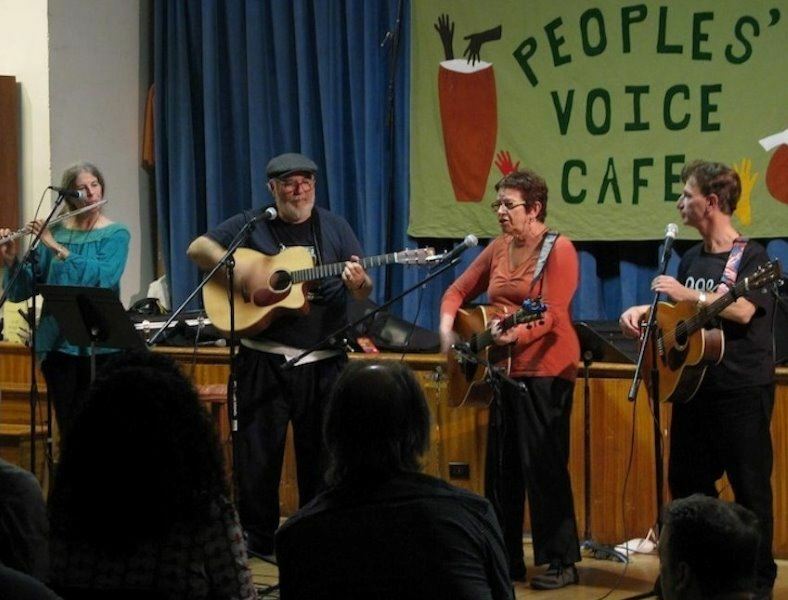 Rooted in the People's Music folk tradition, MSRP dissolved in 2008 after the death of its musical director, Eric Levine. Nevertheless, its surviving members – Joel Landy, Anne Price, Steve Suffet, and Gina Tlamsa – occasionally come together for reunions and special events. 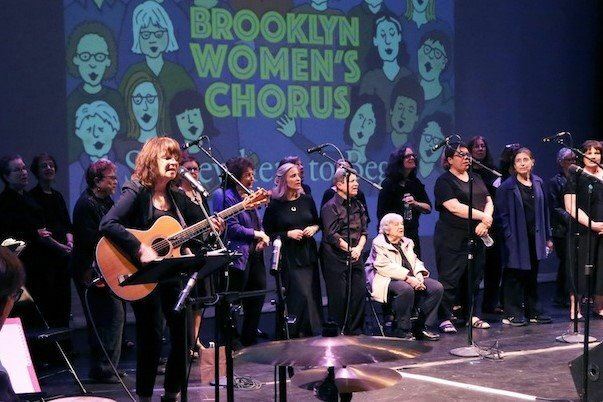 The Brooklyn Women's Chorus is a community chorus that was founded in October 1997 by Park Slope resident and musician, Bev Grant. The chorus has a repertoire ranging from South African freedom songs to socially relevant songs by contemporary American songwriters, including Bev Grant herself. Topics range from freedom and justice to peace, resistance, and women's issues. There are no auditions necessary to join, only a strong desire to sing. Raymond Nat Turner is a New York City poet privileged to have read at the Harriet Tubman Centennial Symposium. 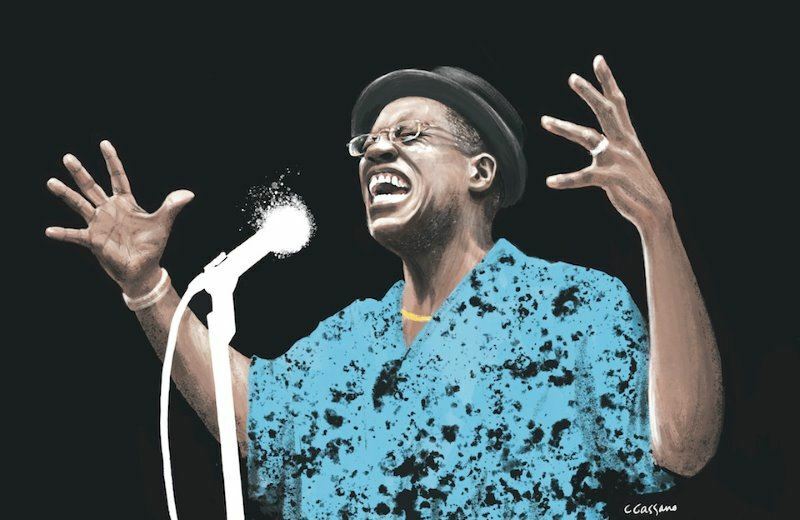 He is Artistic Director of the stalwart JazzPoetry Ensemble UpSurge and has appeared at numerous festivals and venues including the Monterey Jazz Festival and Panafest in Ghana West Africa. He currently is Poet-in-Residence at Black Agenda Report; WBAI's Morning Metro and Ralph Poynter's "What's Happening?" Blog Talk Radio and a frequent contributor to Dissident Voice. Turner has opened for such people as James Baldwin, People’s Advocate Cynthia McKinney, radical sportswriter Dave Zirin, and California Congresswoman Barbara Lee following her lone vote against attacking Afghanistan. He is Co-Chair of the New York Chapter National Writers Union (NWU). 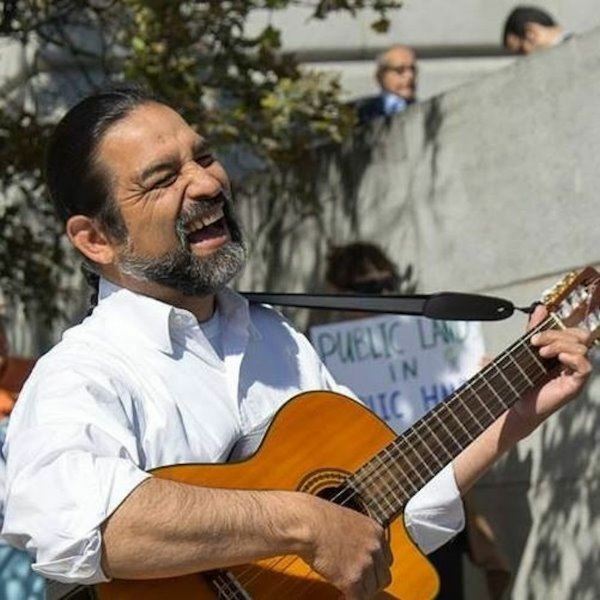 Jeremy Aaron is a singer, storyteller, community organizer, bluesman, poet, guitarist, violinist, and the creator of Greenwich Village Showcase. After earning an undergraduate degree at Oberlin College, Jeremy began pursuing music and songwriting full time. Warm and real, Jeremy’s music evokes nights around the campfire with old friends. His songs tell of Ecuadorian shadows, magic lights, Adirondack evergreens, beggars’ coins, train tracks, and road trips. 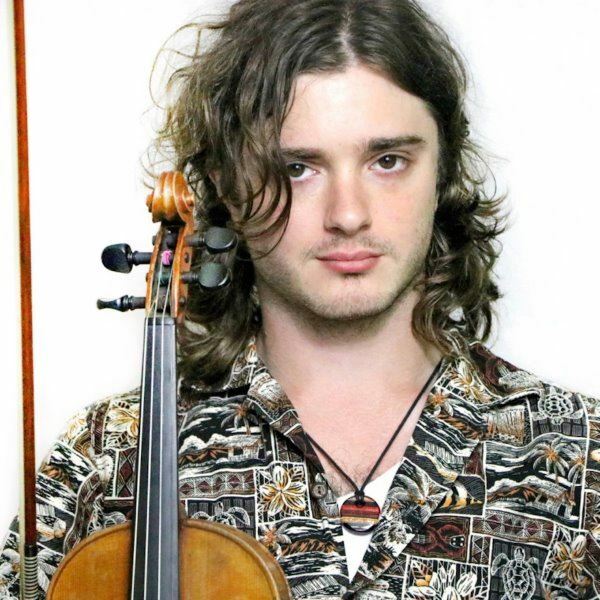 In addition to performing his own songs, Jeremy is the fiddler and guitarist in the band Spuyten Duyvil. Singer-songwriter Lindsey Wilson has embraced issues of the heart and mind within her original music. Love songs, protest tunes, and lyrics of empowerment have all been a true representation of her style and sensibilities. 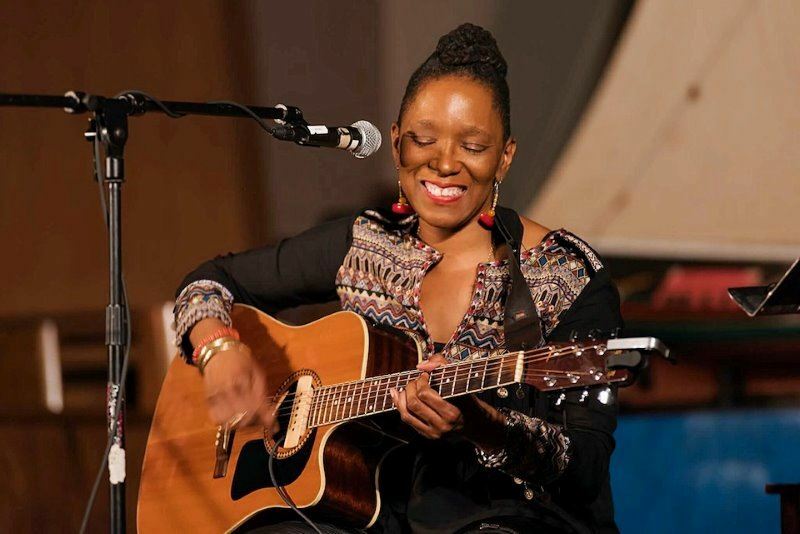 Her influences stem from a myriad of musically conscious voices that spanned the 60's, 70's and 80's era such as Odetta, Richie Havens, Joni Mitchell, Joan Armatrading, and Nina Simone. But Lindsey's message is truly her own. 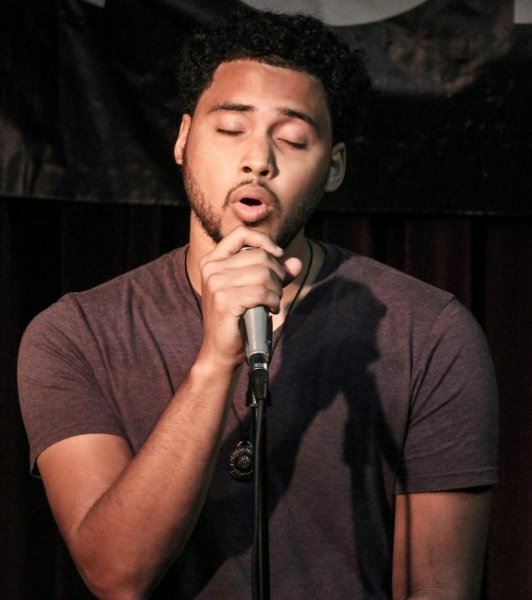 Dilson Hernandez is a multi-genre merging artist from the Bronx. His talents include creative writing, playing various instruments, spoken-word poetry, singing, audio engineering, and beat making. Although self taught in many of his skills, he received a Bachelor's of Arts in both English and Music from the University at Albany; he earned a certification in Audio Recording from the Institute of Audio Research. Dilson wishes to change the world with his art and community-based events, aiming to strive for a more progressive and creative future. Some of his work abroad includes teaching English in Haiti and helping build a dorm space for underprivileged children in rural India. Dilson works at Friends of Island Academy, an organization dedicated to providing services to justice-involved youth from Rikers Island. Dilson also currently works as a freelance musician and audio engineer. 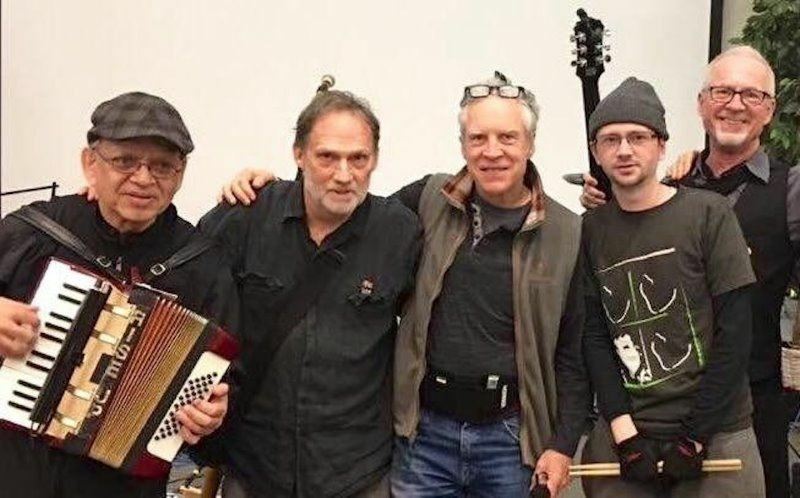 The Filthy Rotten System is a folk/rock/protest band grounded in the values of the Catholic Worker Movement, supporting peace and justice for all people. They can be found out front at New York and New Jersey peace vigils, immigrant support marches and rallies, and a variety of events for progressive causes and for individuals who have devoted themselves to serving others. Activists all, the members of the band rock and will move you with their spirited versions of familiar songs and some powerful originals.